Natasha & Dylan held their wedding in Kaneohe on the island of Oahu, Hawaii where the gorgeous bride was born and raised. With this in mind and taking advantage of the island mood and vibe they created a 'Vintage Aloha' theme and went about creating their dream day whilst being as sustainable and eco-friendly as possible. 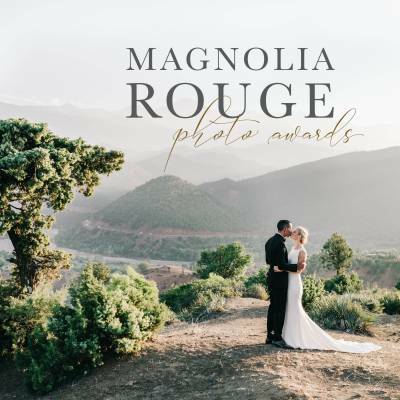 Paris wedding photographer CHRISTINE CLARK - who spends half her time in Hawaii - captured their day with these stunning images. Natasha's bouquet by Hawaii wedding florist DESIGNS BY HEMINGWAY is literally what florals dreams are made of. With blooms in a strikingly rich red it makes quite the statement, as does the bride's gorgeous gown from THE CONSISTENCY PROJECT. HOW DID YOU MEET? We met while working at Airbnb here in San Francisco. At first our relationship grew slowly. From co-workers, to friends, to best friends, to eventually together more intimately, we always clicked in a way that we knew was special. However, it was only after Dylan's relentless persistence that Natasha agreed to take their friendship to the next level. TELL US ABOUT YOUR PROPOSAL: Dylan and Natasha had never discussed marriage during their relationship, so Dylan was extremely unsure how Natasha would react. He originally planned to propose on Natasha's birthday, but last minute decided to plan a small dinner party a couple weeks before her birthday at his uncle's place in SF. His uncle has a beautiful rooftop with a view of the city so he knew he could create a perfect moment. The plan was to have Dylan propose to Natasha on the rooftop before everyone else joined up to hopefully celebrate the moment over dinner. The tough part was just getting her up there on her own. It happened to be cold that night so every attempt to send Natasha up to the rooftop was rejected because of the frigid temperatures outside. Dylan spent 20 minutes by himself upstairs setting everything up (i.e. cuing the music, imagining the moment), texting his uncle to have Natasha come upstairs to no avail. Dylan eventually came back down and had Natasha bring some table settings up with him. Once up there, Dylan cued up "Best I Ever Had" by Drake, and found Natasha had suddenly taken a seat at the table, which threw him off a bit. Dylan told Natasha she needed to stand up, to which she replied, "no, why??". Completely flustered and off his game, Dylan then sat down next to her, pulled the ring out of his pocket, slid it in front of her, and asked her to marry him. Her response? "Are you serious?! Is this real??" Yes. It was very real, and of course... she said YES! TELL US ABOUT FINDING YOUR WEDDING DRESS: Natasha owns a vintage clothing business and is passionate about sustainability so she was committed to finding a dress that was vintage, but still felt modern and unique to her. She happened to find her dress at the thrift store before she was even engaged. She decided to purchase it since it was such a quality piece at a price point she couldn't pass up. A week later Dylan ended up proposing not knowing she even bought the dress. She then tried it on and it fit perfectly! It was truly fate. Made of raw silk it resembled a classic Hawaiian Holuku dress with the long sleeves, high neck and Edwardian influences. The only alteration Natasha had to do was take in the sleeves to make a more modern look. Considering all the lace and detail, there probably wasn't much alteration that could've been made besides that. DID YOU HAVE ANY DIY ELEMENTS? A lot of the wedding decor was sourced secondhand from the vintage glassware to the frames used for signage. We also collected vintage linen napkins which we hand dyed ourselves in order to create a softer look. Additionally, it helped give these vintage linens a second life since many of them were discoloured in some way reinforcing our commitment to a sustainable wedding. From a programming standpoint, our first dance was pretty DIY. Dylan sang and Natasha danced the hula. We wanted to do something different and really show our appreciation to our guests by making the dance/performance for them vs. just us. DESCRIBE YOUR WEDDING FLOWERS: We wanted to keep the florals locally sourced and stick to whatever was in season, again due to our commitment to a sustainable wedding. The colours complimented our "Vintage Aloha" theme. We had table vines with small floral accents for our long 16ft dinner tables. Our hope was to create a family style environment with minimal decor and flowers in order to have guests focus on the good company and food. Our one splurge moment with florals was the greenery chandelier within our reception space. It was the only covered part of the venue. Our inspiration was bringing the outdoors inside since greenery surrounded most of the beautiful venue. This greenery chandler wrapped around a mirror disco ball creating the fun dance floor. FAVOURITE DETAIL OF THE DAY: The people! We created a "Vintage Aloha" mood board for our guests in order to inspire them to wear fun colourful vintage or secondhand. It was such a beautiful moment seeing everyone together. They really brightened the wedding in ways that no decor could ever do. It was really a highlight for both of us. WHAT ADVICE WOULD YOU GIVE OUT TO A COUPLE PLANNING THEIR WEDDING? Think about what will elevate the experience for you and your guests vs. worrying about the small details that many won't even notice. The people are your most valuable asset to the wedding experience. Invest in them, but also let them invest in you. Get them involved early on through a Facebook group or create a theme where they can contribute by dressing up. Think about creating additional experiences or moments before and after the wedding to have your friends and loved ones meet and connect to one another. There's nothing more exciting than to watch your favourite people in life meet for the first time and instantly connect. Remember, they are there to celebrate you, the couple so it'll feel good to be the spark that lights up everyone's experience. MOST MEMORABLE MOMENT? Our first dance. All eyes were on us but this time it was extra special because it was a surprise for everyone else. No one knew was what coming! This was really our moment to thank everyone for being apart of our special day as our performance was to them. Additionally the process of putting together the performance ahead of time really connected us as a couple. We knew it was a success when it really kicked off the dance party. 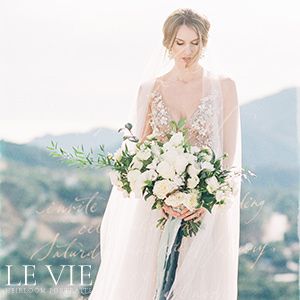 A huge thank you to Paris wedding photographer CHRISTINE CLARK for sharing this stunning Oahu wedding with us. She is a recommended Paris photographer in our vendor guide who splits her time between Paris & Hawaii. A love for light and faces is what originally drew Christine towards photography and continues to be what inspires her in this creative journey. The majority of her work is shot on medium format film, which allows her to be more connected to her work while showcasing the unrivaled beauty and aesthetic of film. 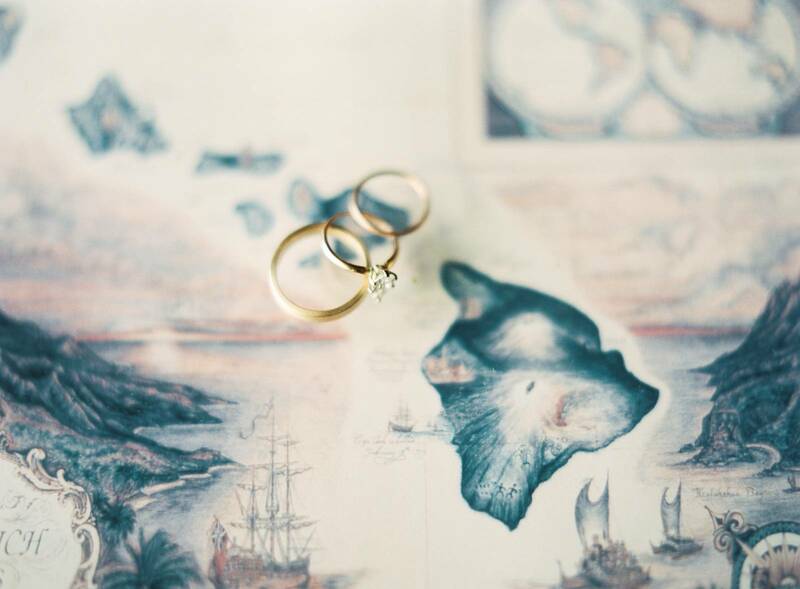 Be sure to also check out this Elegant Oahu destination wedding. 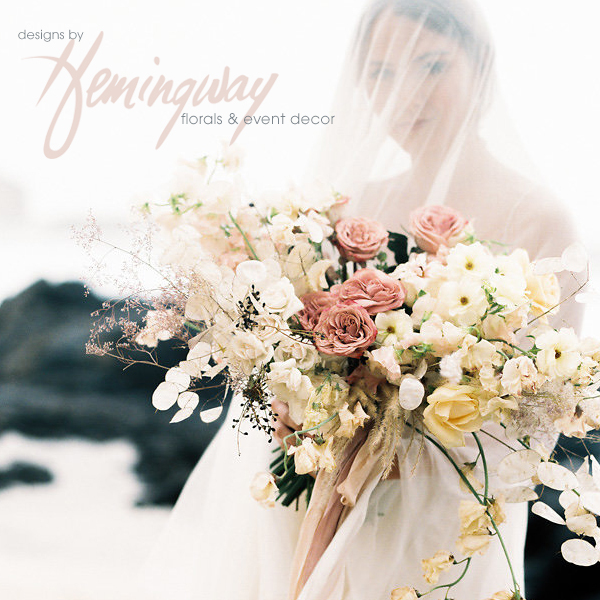 Hawaii wedding florist DESIGNS BY HEMINGWAY creates works of art, and we highly recommend her for your Hawaii wedding. 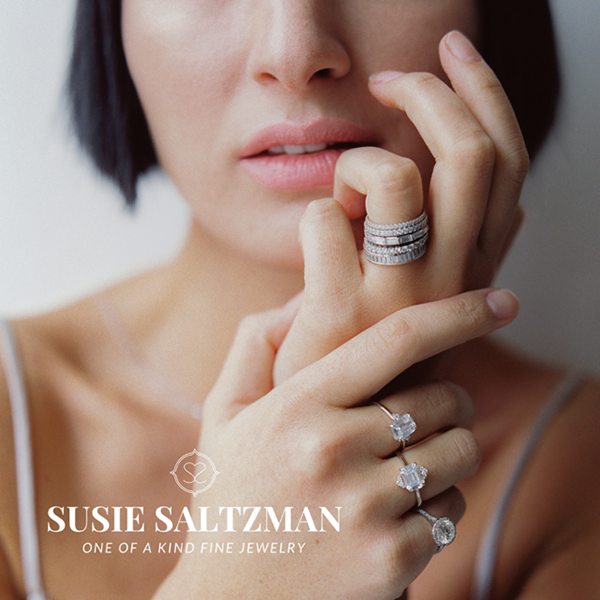 Using a fine art approach when it comes to creating florals for your day, her designs are classic & natural. 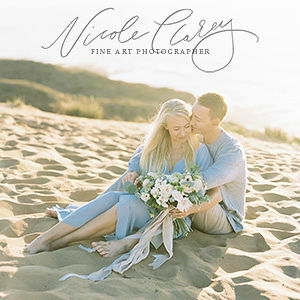 You can see more of her work in this Delicate & feminine bridal shoot on Oahu, Hawaii or in her portfolio here.